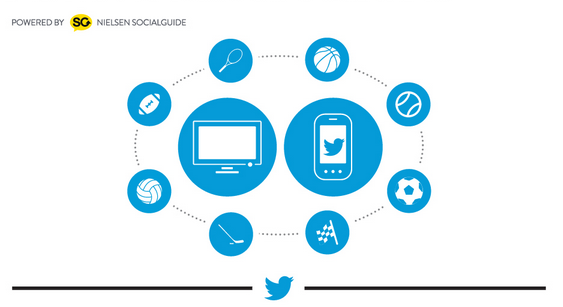 Since Twitter was first introduced in 2006, the social network has become the first choice outlet for anyone who wants to engage online while watching TV. People are constantly “live tweeting” various TV specials, whether it be the newest episode of Scandal, or the Oscars. 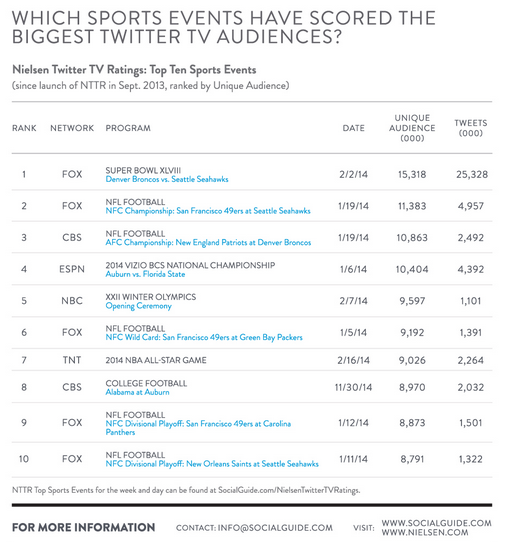 But one genre that seems to engage Twitter users far more than any other is sports. This study comes just in time for March Madness, the NCAA men’s basketball tournament that started this past week. 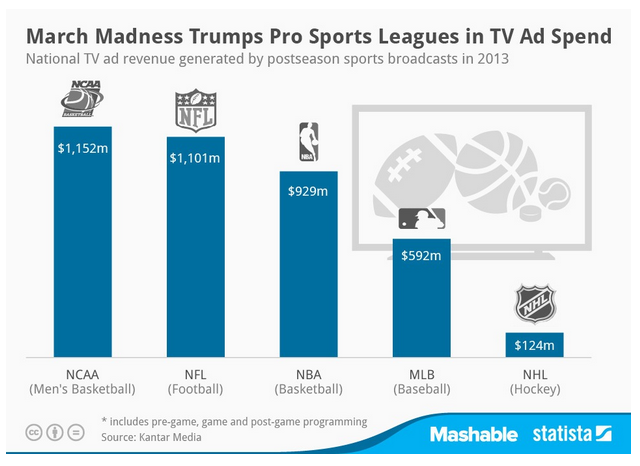 For the first time ever the semi-final round will be shown on cable TV, making this a huge opportunity for marketers everywhere as March Madness generates the most TV ad revenue over all other pro sport league’s postseason broadcasts. And while sporting events attract conversation from fans all over the world, broadcasters and advertisers alike will need to find clever and interesting ways to join the conversation and continue to drive engagement. This entry was posted in Television Programming and tagged March Madness, NCAA, social, social media, social tv, sports, television, twitter by Ali. Bookmark the permalink.